3PL companies are a very important link in the supply chain, and are considered a turn-key solution by their customers. Between providing storage for their operation, preparing materials for transport, and getting products picked and shipped on-time, you’ve got a lot to do to help your customer’s operation succeed. At REB Storage Systems International, we have the experience necessary to understand how your business works and how to help you grow. How do we accomplish this? We will work with you and your sales team to close the deal. By partnering with REB, you gain the advantage of our professional engineering capabilities. Having a professional engineer design the storage layout guarantees the customer the most storage space and fastest product flow specific to their industry. How do we approach this? First, we work with you and your prospect to gain an understanding of their products. From there, we provide designs until the optimal solution for both you and your prospect is decided upon. Presenting an optimal design has a proven ability to help your prospect visualize themselves and the success of their operation in your building, increasing the chances of them deciding on your company. An added benefit of having REB engineers in your corner is that it alleviates your team from having to do the design work, allowing them to focus on the selling of your properties. REB can also accompany you on sales calls to showcase these advantages to your prospect. REB has a high closing history when meeting with the prospect in the early stages of the design. Through our experience, we understand the questions necessary to ask to provide an initial solution. We describe each solution presented in detail, making them aware of key elements such as the types of picking equipment necessary and the correct aisle spacing required. We work with you to get the project completed, on-time and within budget. Whether it involves submitting permits to the village, presenting structural analysis to secure a certificate of occupancy, or working with the local Fire Department, REB has the capabilities and experience. REB Storage Systems is considered in the material handling industry as an integrator, meaning we manage your project from conception to completion. Once the layout of the storage system is finalized, we make it all come together by arranging all deliveries, providing a professional installation, and conducting a final walk through with your team and, if required, the Village Inspector. 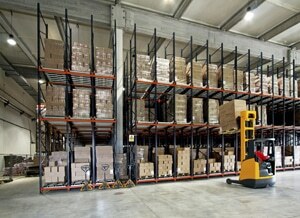 Do you need a material handling solution for your 3PL? 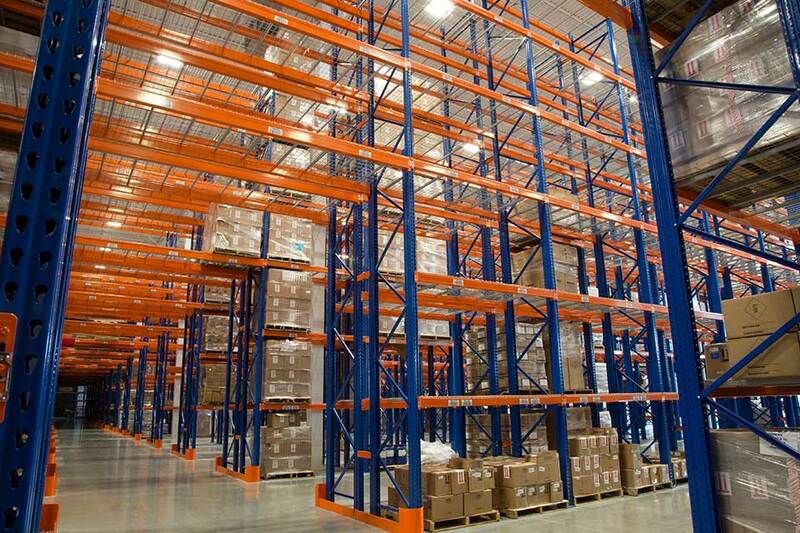 Utilizing the right racking will make it easy to store, navigate, and locate products while giving you more space in your warehouse. 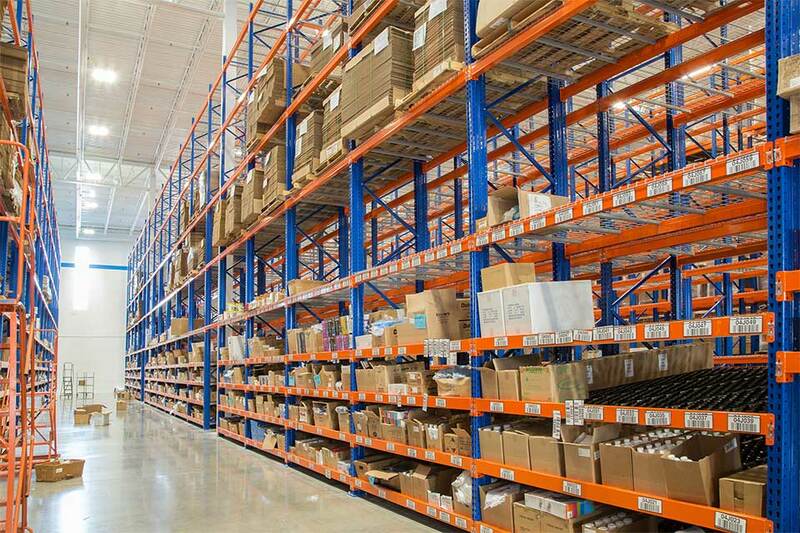 Selective pallet rack: ideal for warehouses or distribution centers with continuous product circulation. 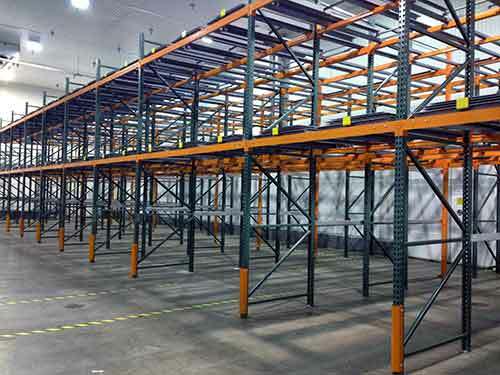 In these systems, pallets are loaded and unloaded from the front, making them a first-in, first-out (FIFO) rack system option. 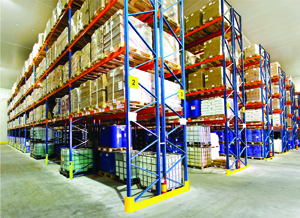 Carton flow rack (for case-pick and piece-pick) and pallet flow rack: these FIFO systems are designed so that rack supported inclined rollers or wheels allow products to glide from the back-loading aisle to the front picking aisle. These gravity systems provide excellent volume utilization. 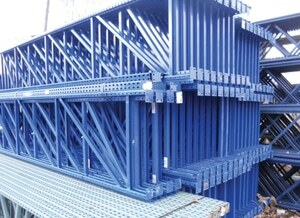 Drive-through rack: a FIFO rack system designed to store pallets on support rails that are attached to uprights and are accessed by a lift truck that drives in to the system with the load elevated to the height of the rail. 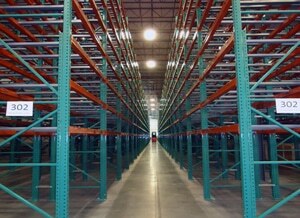 This provides high storage density by eliminating picking aisles. Push back rack: a last-in, first-out (LIFO) rack system option. Push back rack is ideal for facilities that require access to multiple groups of SKUs simultaneously. The rack supports carts that move along inclined rails. Product is loaded from the front of the system. 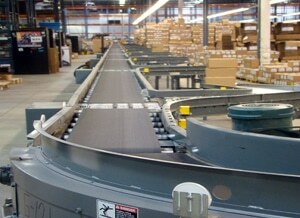 Once the product is taken from the front cart, the next one moves forward. 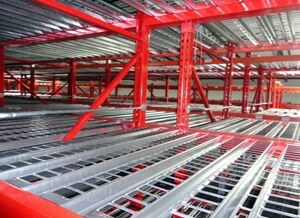 Drive-in rack: a high density LIFO system that provides excellent space utilization. Drive-in rack eliminates the need for multiple aisles, helping to reduce overall square footage requirements. It works in a similar manner as drive-through rack, but one aisle is eliminated and therefore products are only accessible via one end of the system. This lowers the selectivity of drive-in rack but increases the density over drive-though. 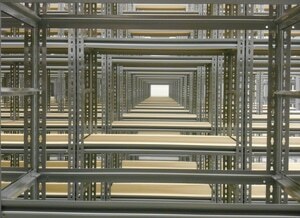 Cantilever rack: designed to store products with varying weights, lengths, and sizes. Cantilever systems do not require uprights, allowing for easy product accessibility and selectivity paired with high down-aisle density. Incorporating material handling equipment can increase productivity and is key for maximizing efficiency in a 3PL warehouse. 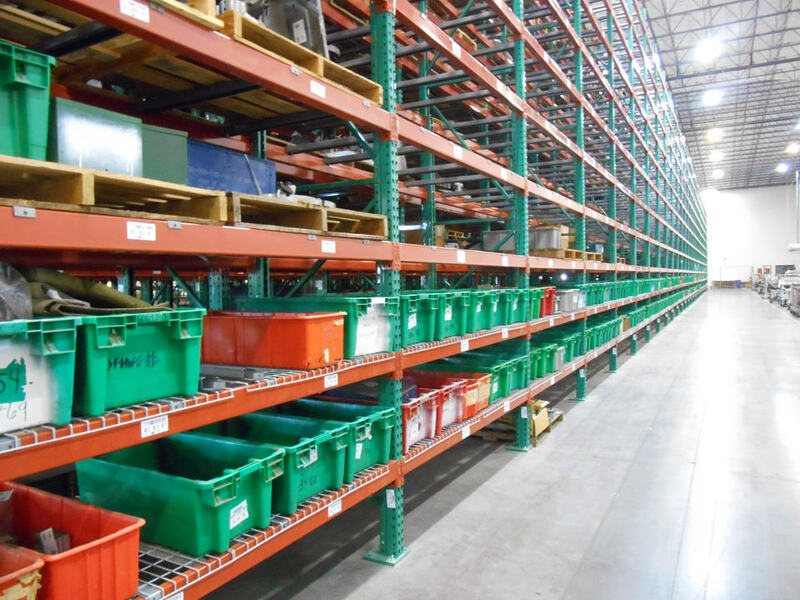 A pick module incorporates material handling products, such as conveyors, with various rack components and is often the answer for a 3PL that needs to optimize the flow of multiple orders. A pick module can be designed for manual pick applications, automated pick applications, or a combination of both. 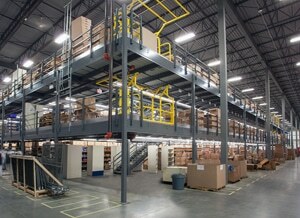 These systems consolidate space and create an efficient warehouse, reducing or eliminating walking time and saving on labor costs. REB engineers can design a pick module for your operation, integrating material handling products into the design of your storage solution that takes into account the products you store and the equipment used for retrieval.